After the inaugural Read UKYA Book Club in June (click here to see the titles! ), it’s back in July with two more titles! Both books were voted for on the UKYA Facebook page, so you can join to be able to vote on next month’s title. Everyone’s welcome – you don’t have to live in the UK to join in or be a certain age (as long as you can legally be on Facebook), but it’s a must that you love books! Lisa’s second novel after her début, Seed, was published last year, Paper Butterflies tells the story of June who faces daily abuse from her stepmother and stepsister at home. No one knows about it and June feels trapped until she meets a boy called Blister who sheds some hope on her terrible home life. The thing is, everything comes at a price, and what is the price of freedom? Lisa Heathfield writes beautifully, with every point she makes 100% believable. Prepare many boxes of tissues for this one, as it’s bound to make you cry! The Sin Eater’s Daughter was one of my favourite books of last year and the stunning first part of a trilogy that will take your breath away. Melinda Salisbury has created an intricate fantasy world in The Sin Eater’s Daughter in which the main character, Twylla, can kill with a single touch. Twylla is betrothed to the prince of Lormere, where she lives, and is made to kill the enemies of the Crown each month. The Sin Eater’s Daughter will leave you on the edge of your seat whilst you’re reading it as it’s incredibly fast-paced but still complex, and you’ll become so attached to the characters that you’ll never want to let them go. Believe me, I haven’t since I finished reading it. There’ll be a discussion on Twitter at the end of the month on Wednesday 27th July at 8pm BST as part of #ukyachat on the theme of both books – so do join in to chat all about The Sin Eater’s Daughter and Paper Butterflies! 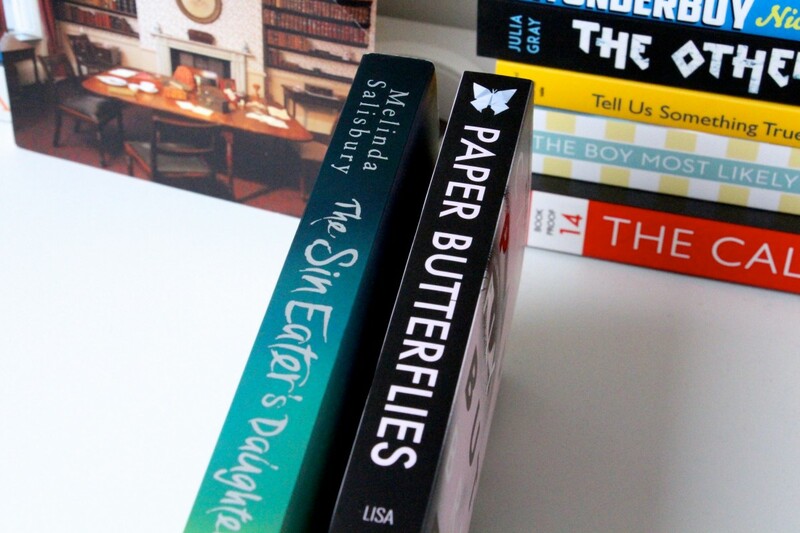 – Buy a copy of either The Sin Eater’s Daughter or Paper Butterflies during the month of July from an independent bookshop OR borrow either from a library and tweet a picture of your copy(ies) using the #readukya hashtag or share on the UKYA Facebook group. – Write a review of either The Sin Eater’s Daughter or Paper Butterflies and post to your blog/Amazon/Goodreads during July and share using the #readukya hashtag on Twitter or to the UKYA Facebook group. Each review counts as TWO entries! – Write a review of The Sleeping Prince or Seed and post to your blog/Amazon/Goodreads during July for ONE entry. 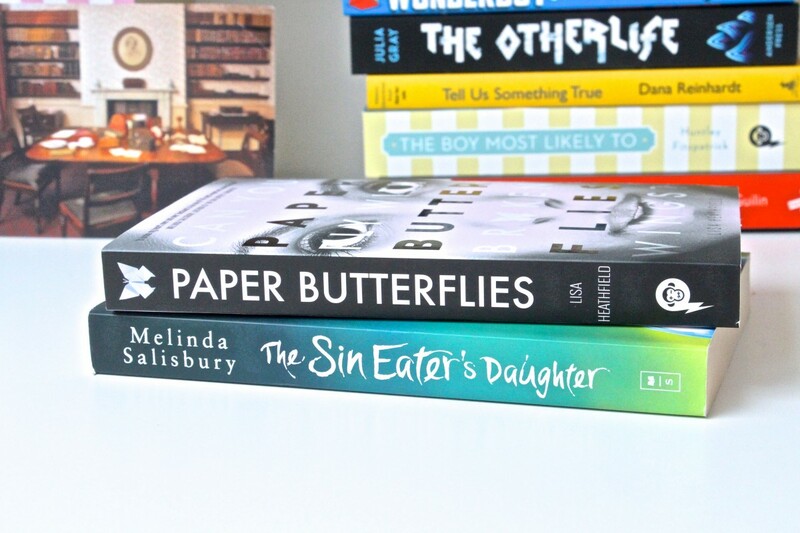 Have you read The Sin Eater’s Daughter or Paper Butterflies already? If not, what are you most excited to read about in them? Share your thoughts in the comments! I really want to read The Sin Eater’s Daughter, I’ve heard such good things! Another trip to the library is in order, methinks. I LOVE The Sin- Eater’s Daughter and The Sleeping Prince! I’ve not heard of Paper Butterflies before, but I’ll definitely be checking it out!